May's board meeting will be held on Wednesday, May 11, at 6:30 at the Boggs School. This meeting is open to the public. April's board meeting will be held on Wednesday, April 13, at 6:30 at the Boggs School. This meeting is open to the public. March's board meeting will be held on Wednesday, March 9, at 6:30pm at the Boggs School. This meeting is open to the public. The school tour scheduled for March 15 has been cancelled. We do not currently have plans to reschedule but will keep you posted. Our February Board Meeting will be held on Wed., February 10th at 6:30 at the Boggs School. This meeting is open to the public. 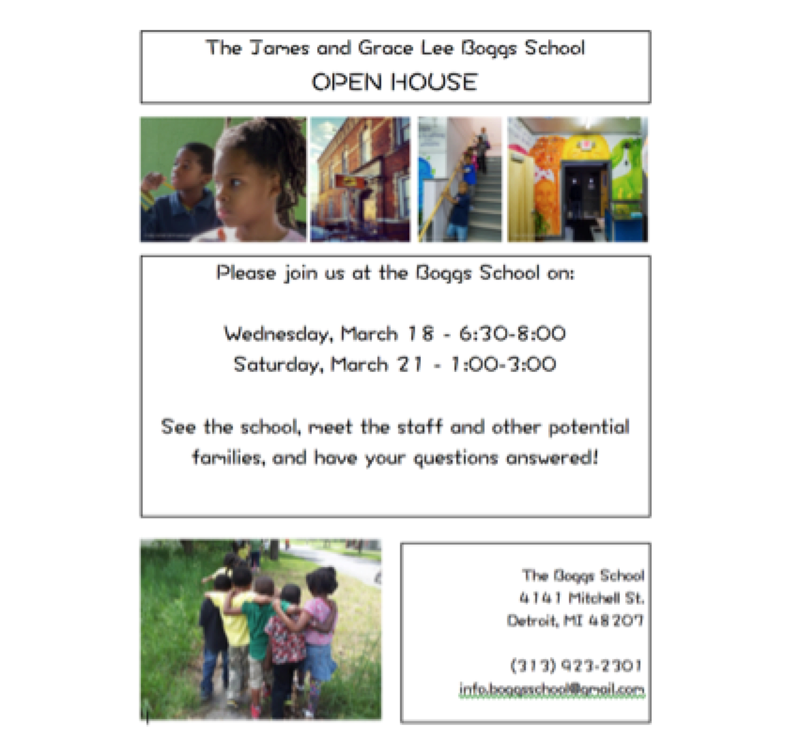 Celebrate the east side of Detroit's history and community at the James and Grace Lee Boggs School on November 20th, 2015, 4:30-6:30 PM. Our September board meeting will be held on Wednesday, September 9, 2015 at 6:30 PM at the Boggs School (4141 Mitchell St.) - classroom TBD. Our first Board meeting of the 2015-16 school year will be held on Wednesday, August 12 at 6:30 at the Boggs School. This meeting and all Board meetings are open to the public.